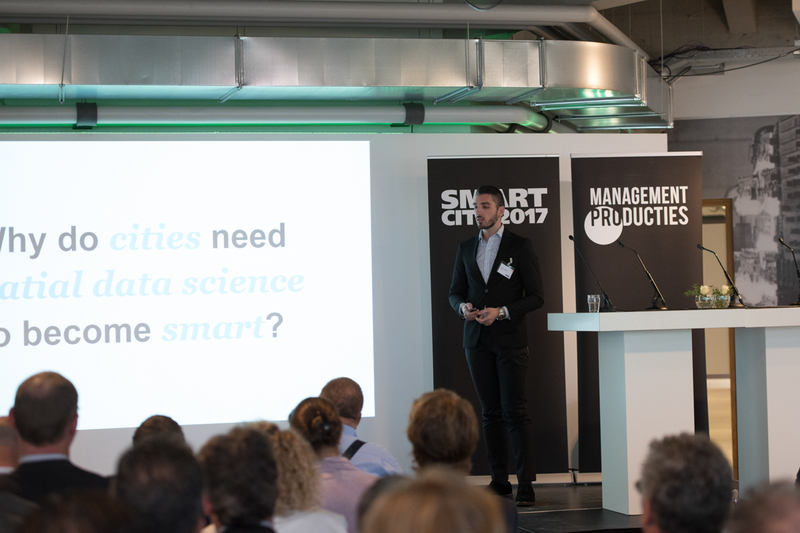 On September 28, 2017, Dr. Achilleas Psyllidis gave an invited lecture at the Smart City Conference 2017 that was held in Eindhoven, the Netherlands. 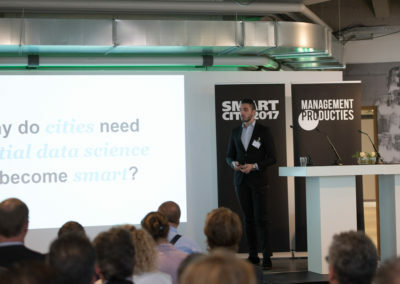 His lecture, titled “Spatial Data Science for Smart Cities”, emphasised the importance of spatial data science in providing geographically-focused computing solutions that could support planning and decision-making in a smart city context. 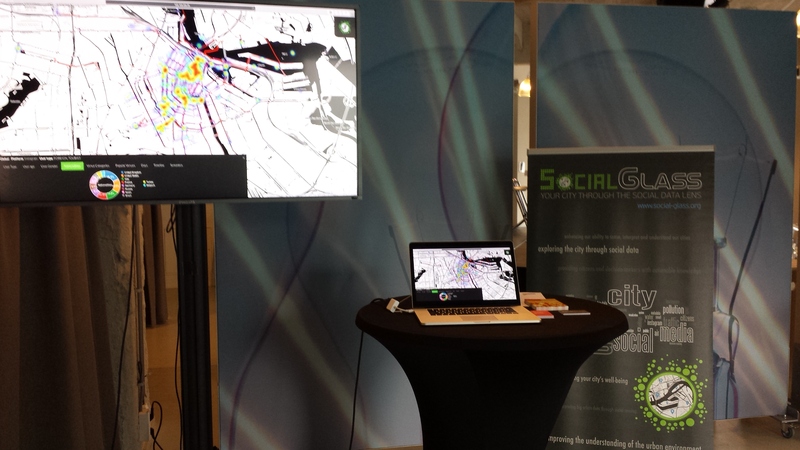 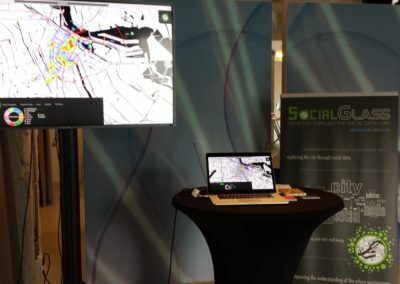 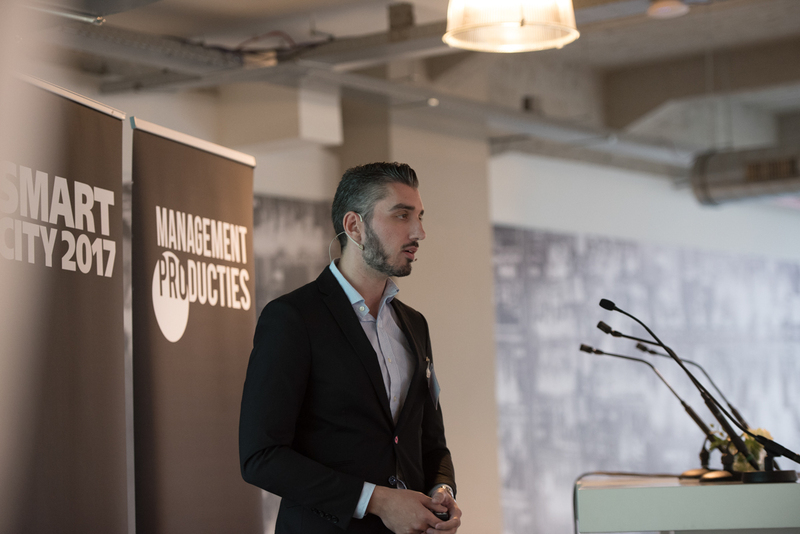 Achilleas presented the pioneering analytical methods and software tools developed within the Web Information Systems group, Delft Data Science, and the Social Urban Data Lab at the AMS Institute. 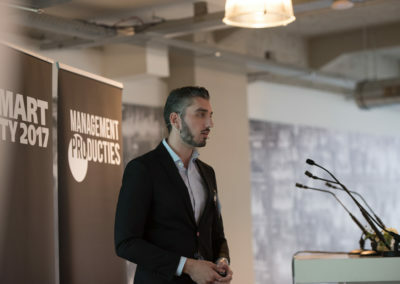 By capitalising on the explosion of location-aware technologies and geo-tagged data, these methods and tools help solve computationally-intensive problems relating to crowd management, human activity dynamics, and facility siting. 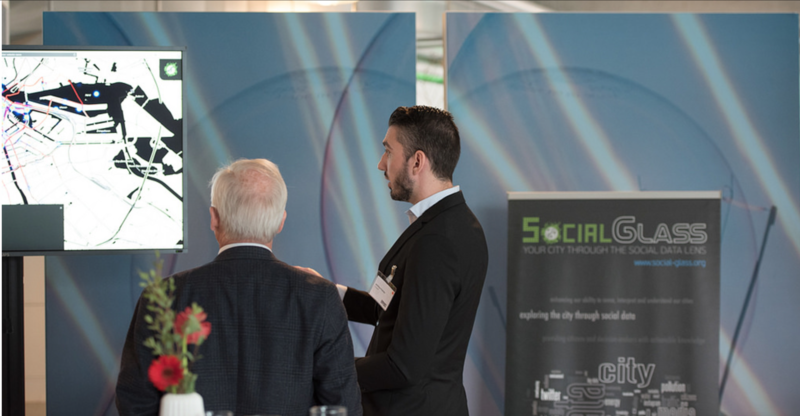 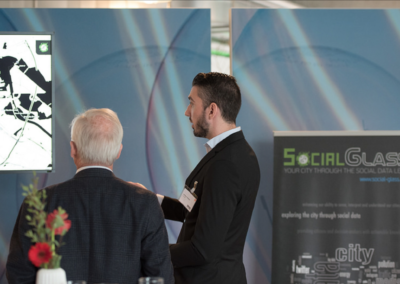 In addition to the lecture, Achilleas gave a live demonstration of the SocialGlass system at the Experience Market, which was running in parallel with the conference.